In ca. 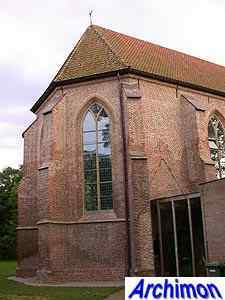 1200, long before the village of Havelte existed, a chapel was built on this location. It was a small building in Romanesque style, with a roof of reed. 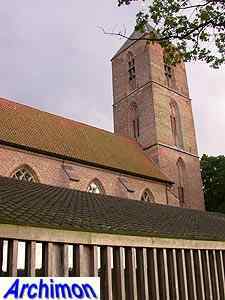 The area then belonged to the parish of Steenwijk (Ov). 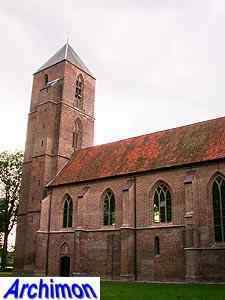 The church in that town however was too far away for the people in the villages of Hesselte, Hesselterveen and Uffelte, reason why in 1309 the bishop of Utrecht granted permission to replace the chapel, which was located in between the current villages of Havelte and Uffelte, by a real church. 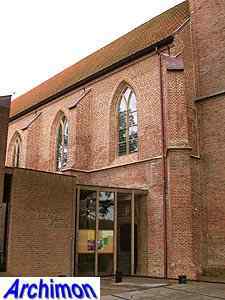 The walls of the chapel were heightened and lengthened. 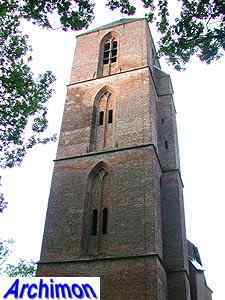 In 1410 work on a tower started. 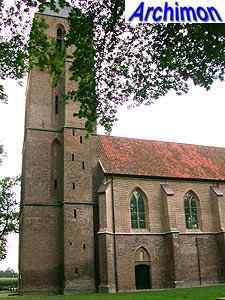 This tower is in a Gothic style typical for Drenthe. It is divided into segments, with a niche in each side of each segment. With the exception of the south-side, where a stair-turret gets in the way, these niches are partioned by simple traceries. In ca. 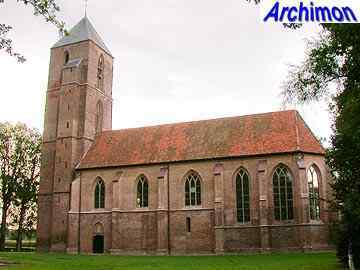 1450 the nave was heightened by building a new wall in Gothic style on top of the old Romanesque ones. It's easy to tell the two parts of the wall from each other because of the different colours of stone. The old part also shows traces of small windows. 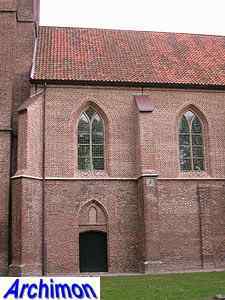 The use of the older walls resulted in relatively small windows in Gothic style. 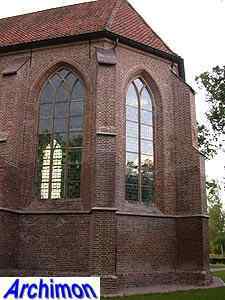 The old choir was replaced by a new one and therefore could have much higher windows. Except for one window on the south side, where they survived, all windows have traceries that were reconstructed during a restoration in 1920-1924. 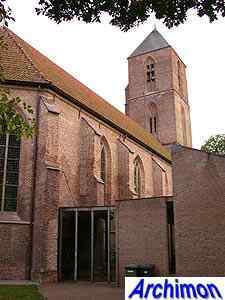 Unfortunately most of the north side of the church is blocked from view by a modern extension.